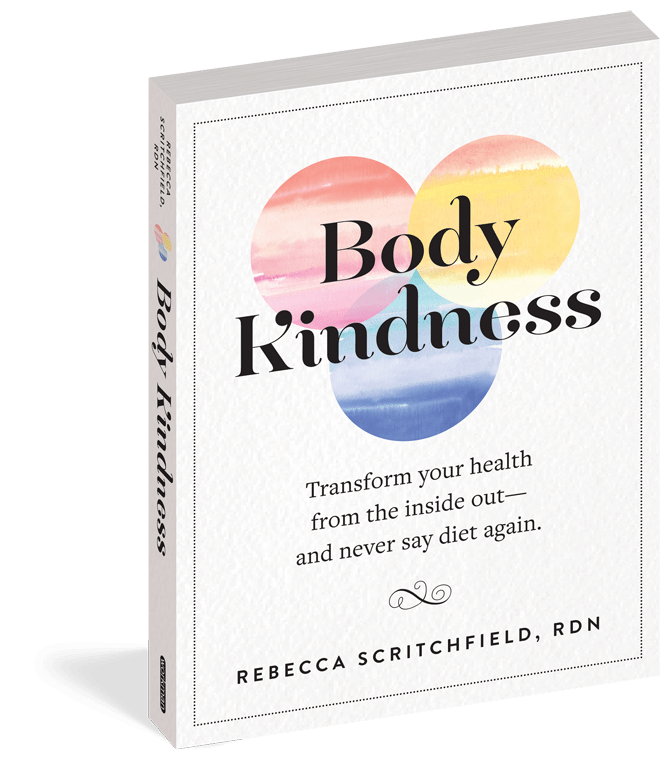 In this episode, we interview national nutrition expert Rebecca Scritchfiled on the topic of body kindness. 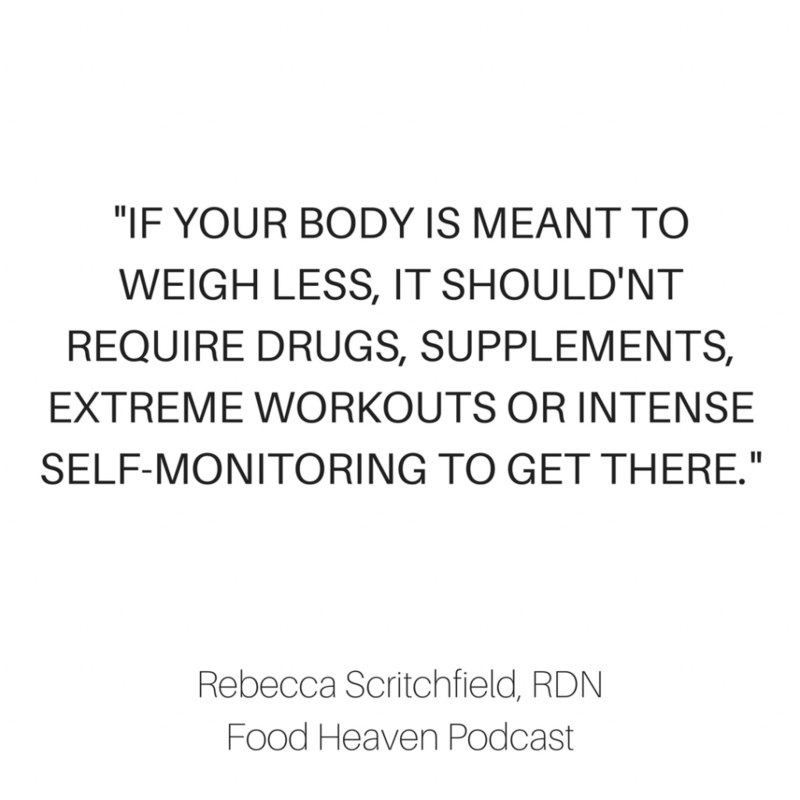 Rebecca is a registered dietitian nutritionist, certified exercise physiologist, author of the book Body Kindness, and host of the Body Kindness podcast. Through her weight-inclusive counseling practice, she helps people make peace with food, find the joy in exercise, and create a better life with workable goals that fit individual interests. Rebecca aims to develop self-compassion in place of shame by rejecting the rules of diet culture and the pervasive myth that to achieve better health one must lose weight. Using her Body Kindness philosophy, Rebecca mentors registered dietitians and supports women from around the world in collaborative, online learning spaces free from unhelpful diet chatter and negative body talk. We both have Rebecca’s book and absolutely love her. It was such a treat to get to interview her on the podcast this week. We are so excited to announce our partnership with Camille Rose Naturals for the Food Heaven podcast! Target Stores just added 10 more Camille Rose Naturals products to their nationwide lineup! To celebrate this mega achievement, instead of a traditional launch party Camille Rose Naturals is organizing a Selfiethon Event February 24th – 25th, 2018 and we’d love for you to participate. Post it to your Instagram February 24th or 25th with these hashtags: #camillerosebestself, #selfieintheaisle and #promo. Tag @camillerosenaturals and @target in your post. How to submit a question:It’s easy! Simply record your question on the voice memo of your phone and email it to us at info@foodheavenmadeeasy.com. We’ll try our best to answer your question on an upcoming episode (and we’ll be sure to email you when we feature your question).Can you do us a huge favor?If you enjoyed this episode, please do us a huge favor and leave us a review on iTunes ….right now. The more reviews we get, the higher we are ranked in iTunes, which means we reach more people!